Detailed Description: Schneider Electric / Square D 4-Pole Contact kit is compatible with NEMA class 8903 lighting contactor. It features direct mounting. Contact kit includes screw clamp connection. It has movable and stationary contacts, contact springs, additional hardware. Contact kit fits through four pole. It includes voltage rating of 600 VAC. 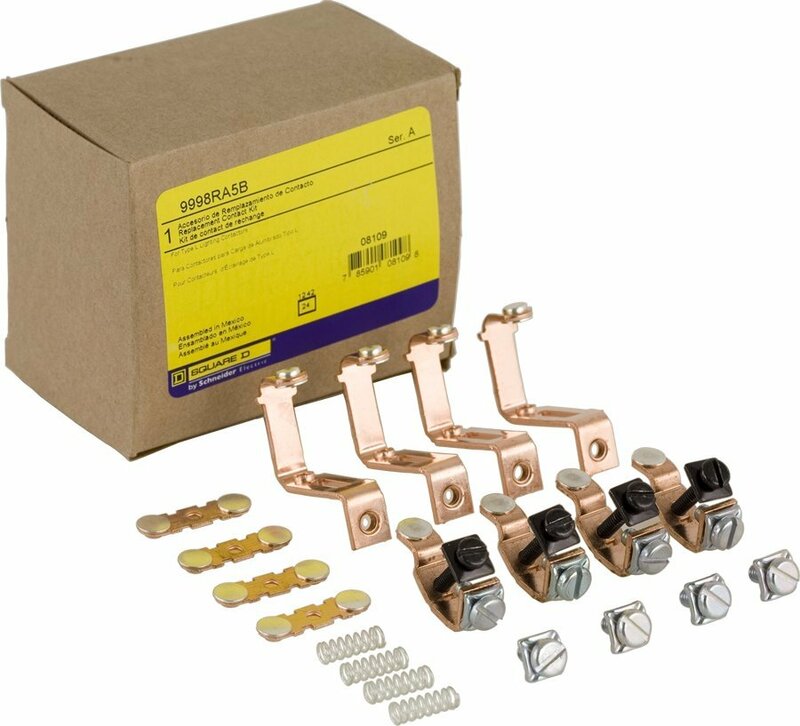 Contact kit for contactor has current rating of 30 Amps. Contact kit meets NEMA standards.